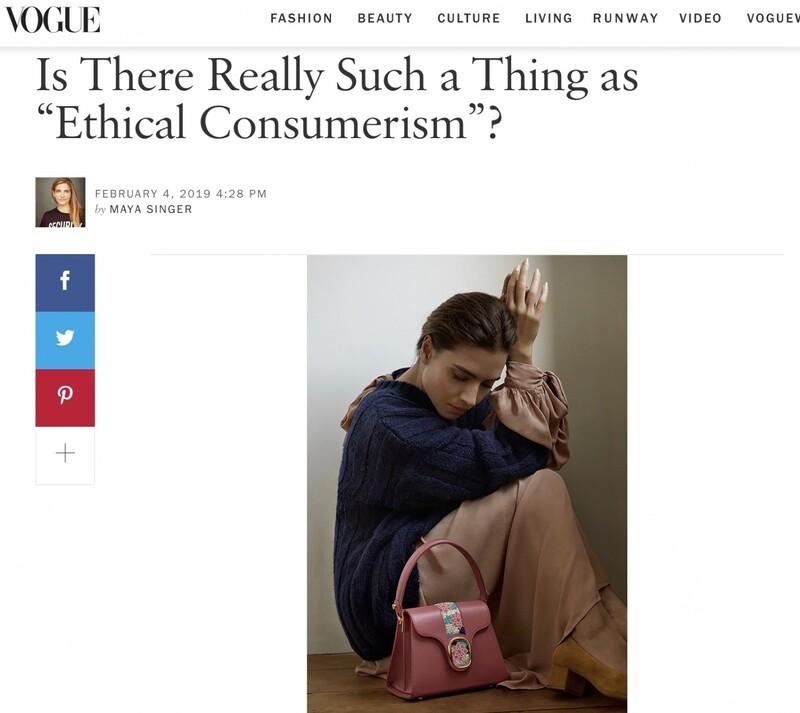 Is There Really Such a Thing as “Ethical Consumerism”? "You know that thing, where you say a word to yourself a couple dozen times in a row, and by the 25th repetition, the word doesn’t signify anymore? It’s just a bunch of syllables. That’s how I’ve started to feel about the phrase “ethical consumer.” Who on earth is that? Does such a person exist?" "Let’s conduct a thought experiment. There’s total transparency in the supply chain, and I, Maya Singer, consumer highly motivated to shop “ethically,” am planning a purchase. Let’s say I want to buy a new pair of running shoes. I’ve spent two years rehabbing a bum knee and I’m champing at the bit to start training again. Do I buy one brand’s shoe made entirely from sea garbage, but in a sweatshop in Southeast Asia? Or do I buy from a brand with no environmental commitments, that produces in a unionized factory here in the USA? What if the brand that produces domestically is led by a CEO with #MeToo complaints? What if there’s another sneaker brand that’s signed a deal with Colin Kaepernick, and I like Colin Kaepernick? My point is, values compete. And ethical values lose some of their charge when they’re thrown into contention with the elemental shopping values, i.e., function, style, convenience, price. Another hypothetical: Let’s say I’ve discovered the ethically perfect running shoe. It costs $800, there’s a six-month waiting list to get a pair, they come in one color, which is crap brown, and oh, by the way, I have to buy without trying them on, so I have no way of knowing whether these particular running shoes work for, you know, my feet. Might I be forgiven for throwing my hands up and just to heading to Foot Locker, ethics be damned?"